Let the games begin! This big fella was caught today by one of our charter boats. 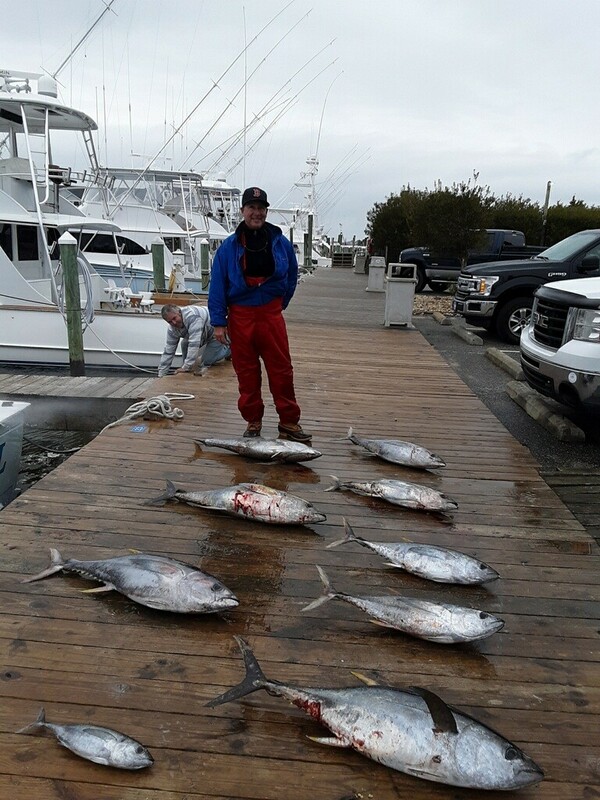 Several private boats were also lucky enough to reel in some big Bluefin! They are here! If you want in on the action, give us a call at (252) 473-3906 or book online! We’d love to hook you up! Congratulations to the following Anglers for their citations: Robert Scott James 90 in. Bluefin Released; Jeff Musser – 98 in. / 495.5 lb. 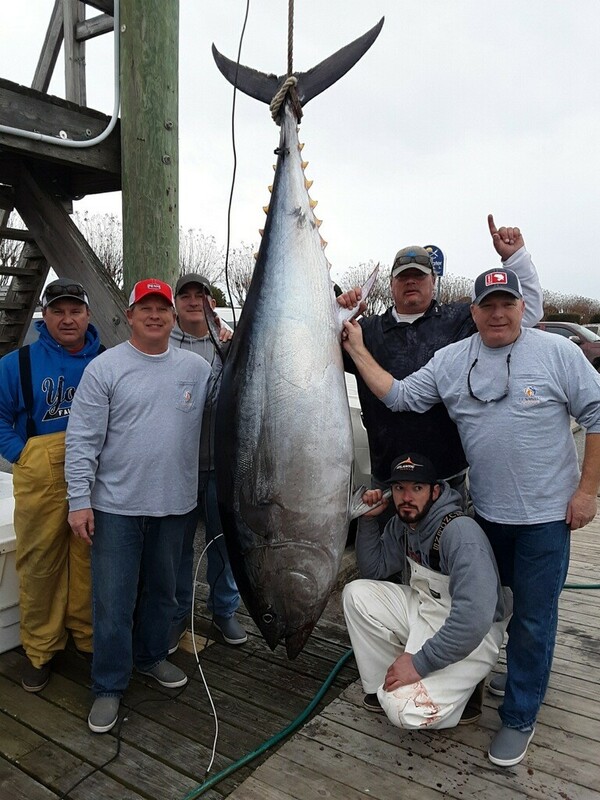 Bluefin Catch!